Growing up in India, if you are not too bad a student there are only really two choices that the whole society gives you an option for a career. Either be an Engineer or be a Doctor. To a point most do acknowledge that for being a doctor one should have some interest in that field and the relatively high amount of fees also make them understand that. However, an engineering degree is something that a lot of companies that have nothing to do with engineering also look for while hiring employees which made that field the most sought out course in India. “An Engineered Dream” is the dream of every Indian parent that has changed the lives of being a student in India in the last two decades. Kota is the biggest hub of engineering entrance coaching centers in India. The main objective of these coaching centers is to get their students highest ranks for the entrance exams to IITs (Indian Institute of Technology). In one of the scenes from the documentary, a trainer from one of these coaching centers talks about how this trend came up and how the lives of most of the students in India turn out. Most of the time, the choices are already fixed before these students can think for themselves what they want to pursue. The way it happens has not only created a lot of engineers who hate their job but also people working in jobs they are not fit for even outside the engineering profession, because of the impact of this phenomenon. Here we see “An Engineered Dream” of four students who are at different levels of spectrum in their ability and interest in pursuing the course. A brilliant boy Suraj Yadav whose sole passion is to learn, but at the same time, depends completely on his parents on each and every decision. However, we see that he doesn’t know why exactly he’s doing this, but he loves what he’s doing and the whole family is there to guide and support him. The dream that his father wasn’t able to achieve is to be fulfilled by him. A hardworking boy Ali Faraz, who despite being an average student most of his life, tries his best to achieve the ambitions of his family for him. Another average student Shubha Shingala wants to be an engineer and take care of her mother. Shaswat Singh is a student who wants to make this work but plays around and raps while trying to study. Even though always being the funny guy, he’s also mentioning about suicide a couple of times. From all these students, we see the pressure from society to make them choose this path. None of them seems to mind being an engineer, however, they are not so passionate about being an engineer either. They are passionate about fulfilling the dreams of their parents because that is what they were groomed for. Throughout the documentary, we see a lot of notes written by various students in their hostel rooms and surrounding areas, like the temple that is most visited by the students. In their rooms, they hang notes about remembering the family so that they can concentrate on their studies for them. Although most doors do not have disturb signs, they are also pointing out that this place is hell. The number of student suicides in the country should be read along these lines. 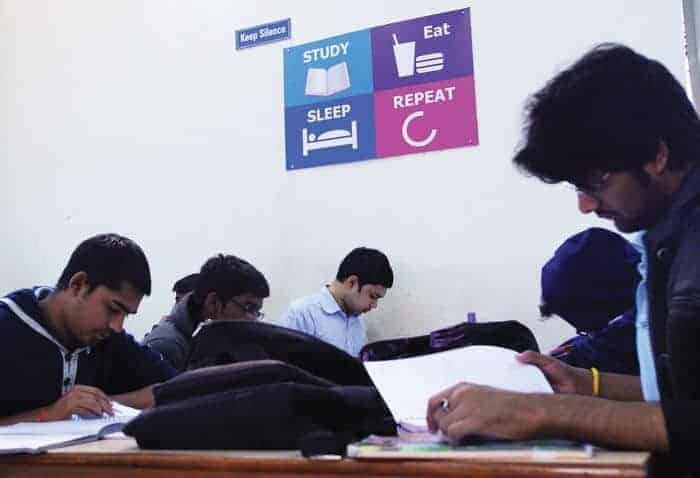 According to studies, a student commits suicide in India every hour. As someone who has gone through these ordeals, I can guarantee you that “An Engineered Dream” is the most objective look at this phenomenon without demonizing anyone. And yet I felt the horrors of this phenomenon. When students who study 15 hours a day right in front of the infamous suicide points of those who have failed before them, to say it got to be traumatizing would be an understatement.